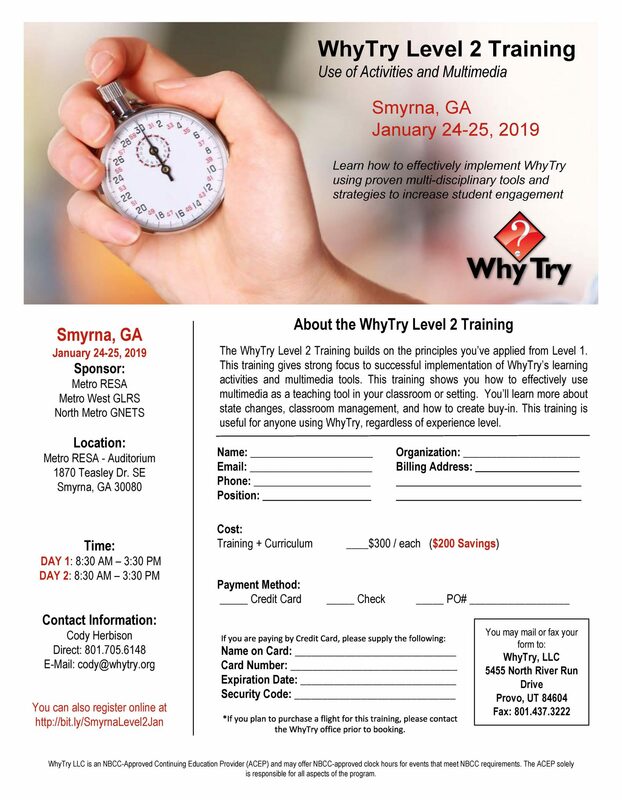 Metro West GLRS » Professional Learning Opportunity – WhyTry? HomeUncategorizedProfessional Learning Opportunity – WhyTry? Professional Learning Opportunity – WhyTry? The WhyTry Program is a resilience education curriculum that provides simple, hands-on solutions for dropout prevention, violence prevention, truancy reduction, and increased academic success. The idea is straightforward: Teach social and emotional principles to youth in a way they can understand and remember. WhyTry is based on sound empirical principles, including solution-focused brief therapy, social and emotional intelligence, and multisensory learning. The WhyTry Level 1 Training is a two-day course that will prepare you to use the WhyTry Program in a real-world setting. 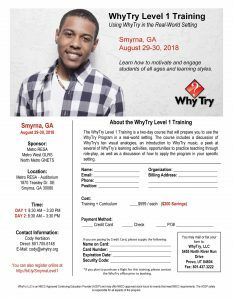 The course includes a discussion of WhyTry’s ten visual analogies, an introduction to WhyTry music, a peek at several of WhyTry’s learning activities, opportunities to practice teaching through role-play, as well as a discussion of how to apply the program in your specific setting. 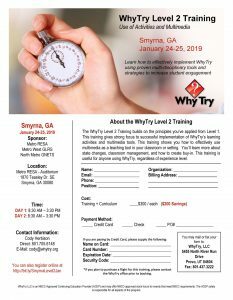 The WhyTry Level 2 Training builds on the principles you’ve applied from Level 1. This training gives strong focus to successful implementation of WhyTry’s learning activities and multimedia tools. This training shows you how to effectively use multimedia as a teaching tool in your classroom or setting. You’ll learn more about state changes, classroom management, and how to create buy-in. Register now! Space for each training is limited!